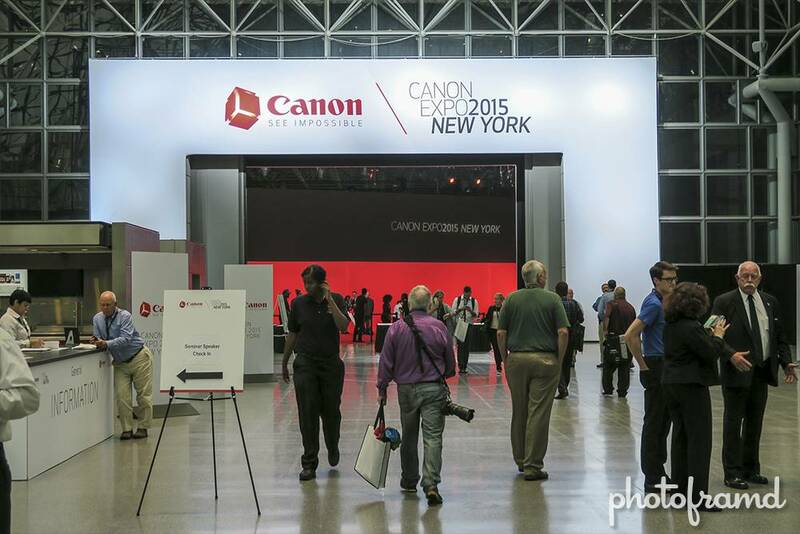 The Canon Expo 2015 was held this week at Javits Convention Center in New York City. 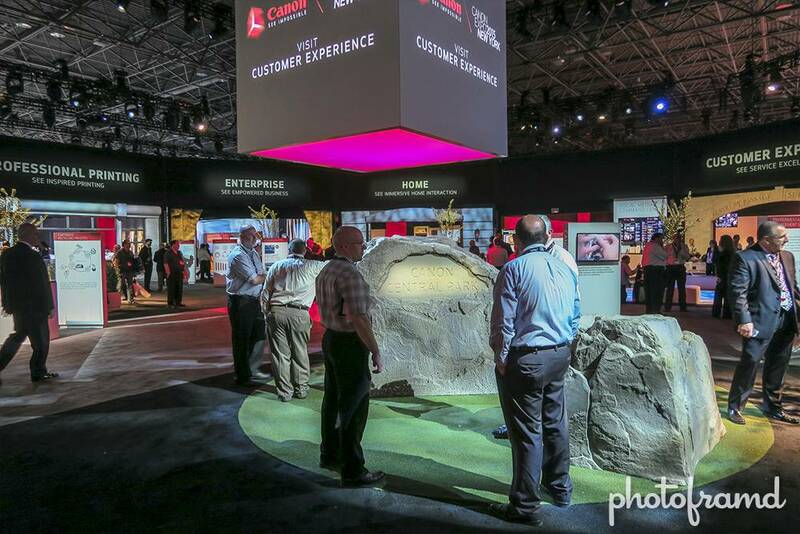 Every 5 years, Canon showcases technology and innovations that it is developing across its many divisions. Of course, I was most interested in the photography and film section. Canon did have a demo of their new 250meg sensor housed in a Canon 5D Mark III. It captures an amazing amount of detail at 100ISO, but it’s not something that will impact everyday lives. 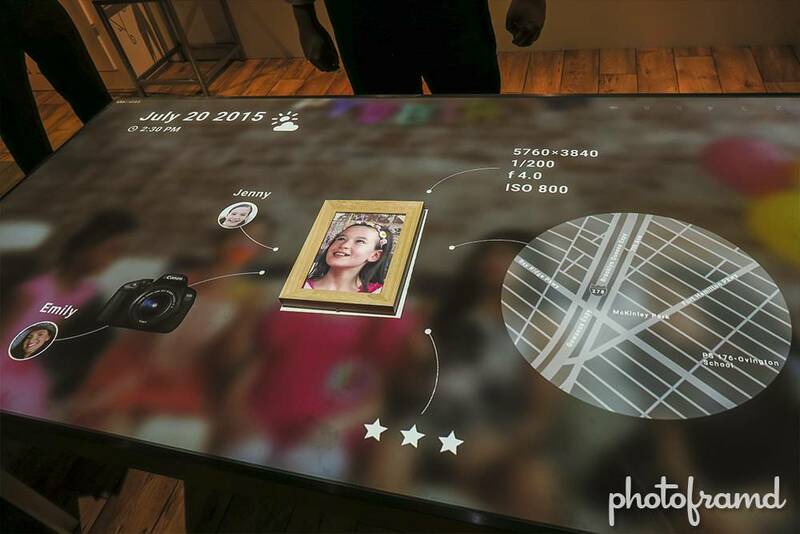 The Magic Table was a staged demo for an interactive interface projected on a simple table. Objects on the table were recognized by the system and retrieved associated files. 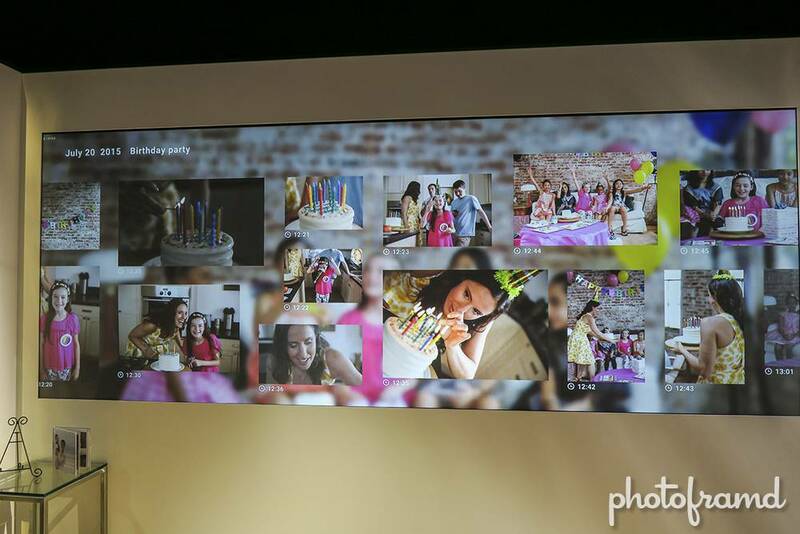 For example, the above camera automatically pulled recent photos from the Cloud which were taken with it. Once retrieved, the photos were manipulated through gestures. The photo was easily be sized and sent to a printer by waving your hands. A framed photo placed on the table was recognized and displayed related information. From that photo, the context of the photo was accessed and related photos and videos was retrieved from the cloud and sent to a large screen for display. 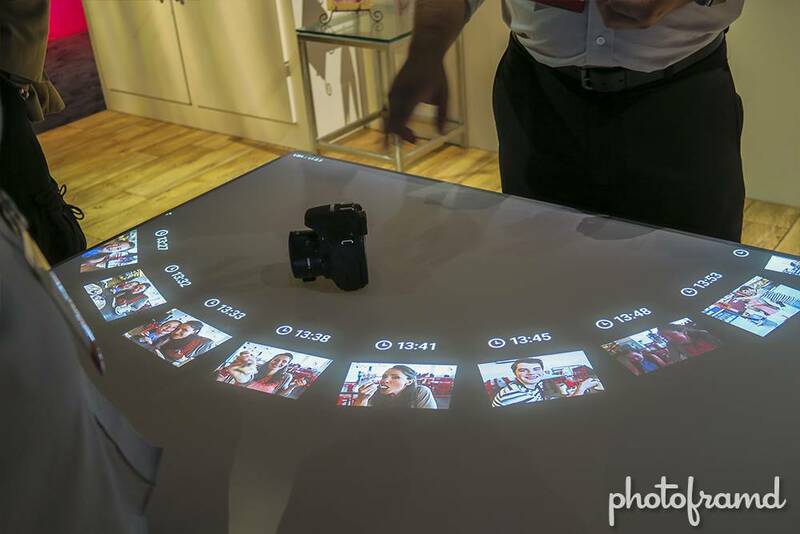 It’s technology that could one day be in the home. It’s pretty cool. Canon also had examples of their new print technology. In addition to very high resolution and color accuracy, Canon can now reproduce luminosity and depth with a multipass printer. 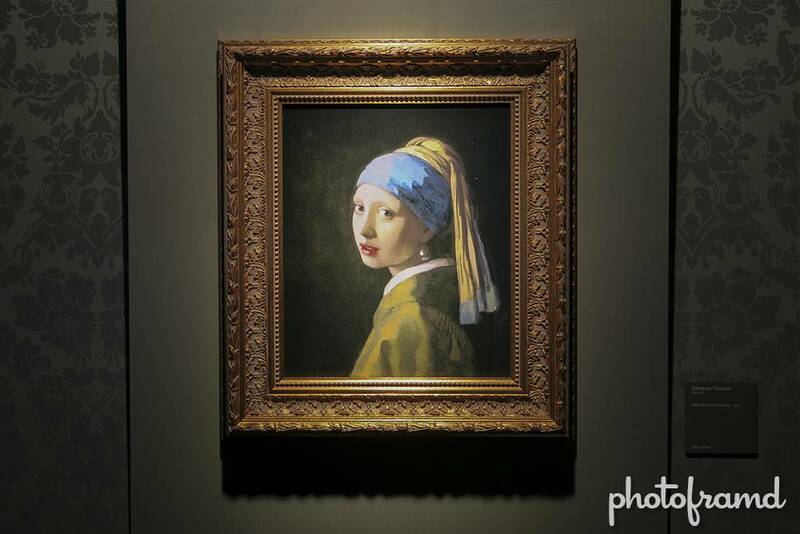 Not only did they produce an accurate print of Vermeer’s Girl with Pearl Earrings, a close-up shows real depth of brush strokes and even the depth of cracks in the paint. Not a photo of the cracks, but actual cracks! Even the wallpaper was printed with this new technology. It had real 3D texture and sheen. Unfortunately, nothing matched the impact of seeing 4K for the first time at the last Canon Expo in 2010. We have to wait for 2020 for the next one.